This is nifty. Say what you want about the Kinect as a gaming peripheral, it has found its place as an impressive piece of hackable technology since its release. It seems it does all sorts of cool stuff except playing video games. Go figure. Excited to see what hacks creative minds make with this though. I wonder if PC is going to get Kinect of Xbox One controller support first. Either way, Kinect on the PC just doesn't seem all that appealing. Imagine, for a moment, motion gaming. You're usually sitting on your couch, or standing in front of it. Now imagine your PC. Most people aren't going to be using a TV as a monitor. They'll be using a monitor. Way smaller. And you'll be way closer. And, outside of a few interesting hacks, I've never seen or heard of a PC title that has used the original Kinect, or made it fun to use. Oh, and since PC firmware is different, I doubt I'll be able to say "PC, launch Diablo 3" and have it work. Let alone "PC, launch Luftrausers" or "PC, upload Facebook status: That was literally the largest dump I've ever taken." It'd make a nice webcam, maybe? Bah, useless garbage for the PC, unless you're gunna use it for just a camera+mic to skype. Wonder who buys this garbage to flail around like a retard playing games. I predict the price will be $200 minimum. Which is said considering the kinect 2 should have been available from the beginning to the tinkerers and developers of productivity and educational software free from the xbone's licensing instead of the uninspired game developers wanting to pump out more dance games and crap motion and voice gimmicks. Maybe with the official driver out, someone with figure out how to use an xbone kinect on windows and everyone who wanted a new xbox can recoup some of the cost by getting rid of that stupid camera they were forced to buy. Yeah, I'd agree that the Kinect needs more chutzpah. The snarky thought that comes to mind is: "First Windows 8, now this?! Is the next version of Windows going to have a 'bash your head against this plate until the system intuits what you're trying to do' interface?" More seriously, I'm sure it will be just fine for some very limited uses, though I suspect most PC users sit way too close to their computers to make use of Kinect and those who don't are more likely to want to go Valve's direction than Microsoft's. But I'm still deeply skeptical after the combination of failure and "can't be bothered to try" that was Games For Windows, and I really wish MS would show that they're taking more of an interest in actually trying to give their consumers what they want rather than trying to sell/force on them what they want to design. I can't imagine me actually buying this, since if I got an xbox one this would be the first thing I'd remove from the box and put in the trash. Get Dragon Naturally Speaking or any similar software. get microphone good enough to pick your voice clearly. set up the software. done. Well, this should be interesting. 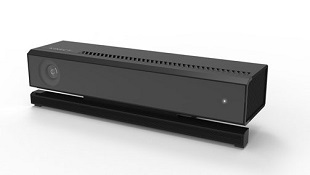 The last Kinect was actually pretty useful for the PC. And by useful, I mean you could make GMod characters dance with it. Is there anything else I'd want to do with a Kinect that DOESN'T involve dancing in GMod? Probably not. Animators could have some fun with it though, because you can use two at a time to create a surprisingly accurate motion capture setup in things like Source Filmmaker.